OMG. 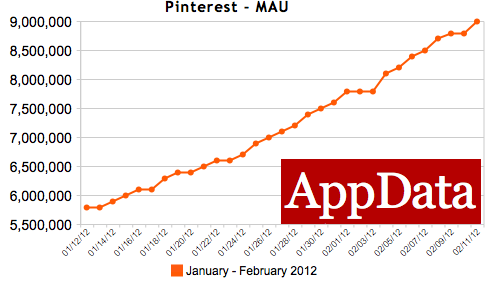 Pinterest now has over 10.4 million registered users, 9 million monthly Facebook-connected users, and 2 million daily Facebook users, according to Inside Network’s AppData tracking service. With gorgeous photography, and links to shopping sites, Pinterest is becoming an obsession for flocks of women. And they’re not afraid to show it, I mean, Like it. 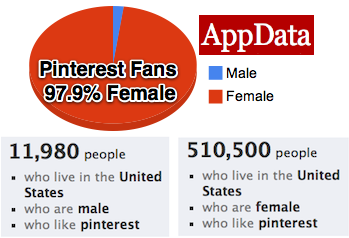 AppData and Facebook’s advertising tool show that over 97% of Pinterest’s Facebook fans are women.